Shattering any sense of social formality that would be expected of an interview at a choral music conference, I quickly direct the conversation to Michael Zaugg’s bid for Artistic Director of Pro Coro instead of asking him about the conference. “Oh, you’re talking about Pro Coro, not Podium!” Zaugg remarks, surprised at my conversation starter. “I’m here to talk about you,” I state. “O.k. !” he says with a smile as he readies himself. 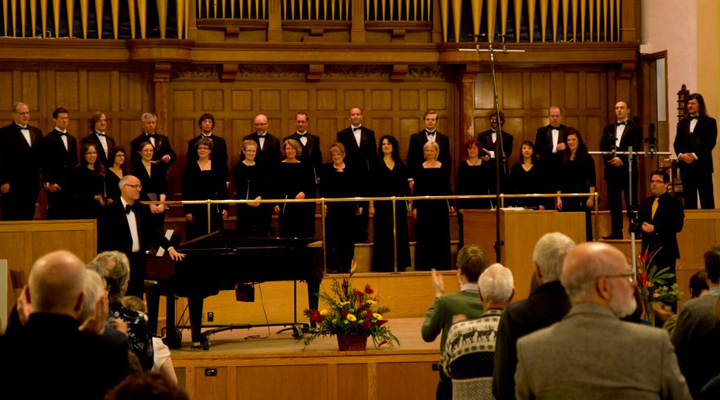 In addition to his roles as the conductor of the St. Lawrence Choir in Montreal, the Cantata Singers in Ottawa, and voces boreales at the Montreal Choral Institute, over this past year Zaugg participated in a comprehensive selection process for the position of Artistic Director and Principal Conductor for Pro Coro Canada. As a Pro Coro chorister, I was able to participate in a small portion of this process and blogged about the experience. The news of Zaugg’s successful appointment as Artistic Director was welcome news not only to me but to the entire Edmonton choral community. 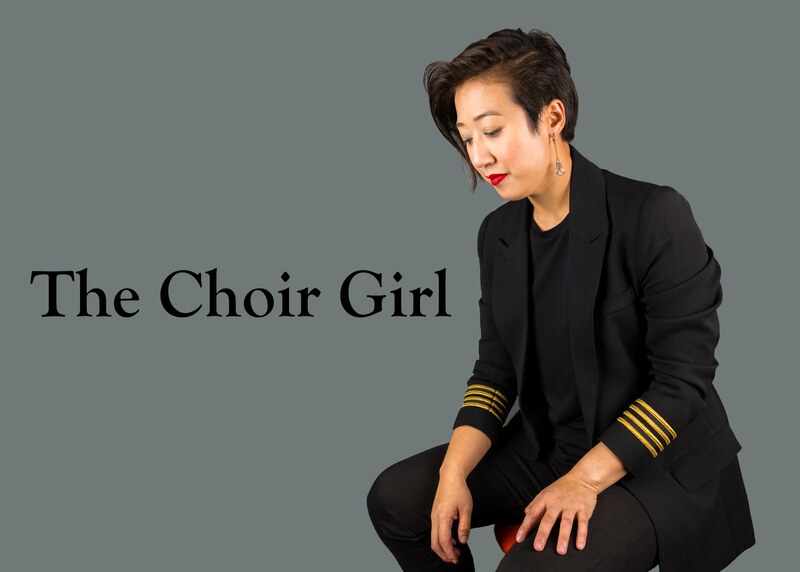 A consuming selection process began that involved drafting a five-year plan for the vision of the choir, supplying his thoughts on fundraisers and financing, and a series of east-and-west Canadian commutes for interviews. During that time, the list of potential candidates was distilled to the concentrated choice of three candidates. Zaugg revealed his thoughts when he finally arrived for his concert audition: “I don’t get nervous in these situations. I just get very excited.” I was curious to know if there was an epiphanial moment in which he felt he had secured the position: “Well, it would be cocky to say so. But I think at the concert…when we were together on stage.” I am sure that anybody in the choir or audience that day would agree that he was clearly the one. Looking towards the future as the new Artistic Director of Pro Coro, Zaugg discusses how professional ensembles need to set an example. They must constantly challenge themselves and others to be better. He stresses the importance of looking at all music from a different angle in order to inspire other conductors and ensembles to try something new as well. Zaugg believes that professional ensembles have to not only be “leaders in simply performing but leaders in research, cross-disciplinary collaboration, and structural ideas in administration.” He hopes that an amateur choir can look at Pro Coro and say: “this is how you set up a choir to be successful, this is how you get funding, this is how you organize fundraisers, this how you run the board etc.” Furthermore, Zaugg reflects on the state of choral music in Canada: “We are in a fortunate situation. There are three big [professional choirs] in Canada. There are smaller professional choirs like voces boreales. There are niche choirs doing early and contemporary music but all in all there aren’t many.” He describes the organization of the European professional choirs that include groups from France, Germany, and Austria; Zaugg remarks that they meet to do professional workshops and recording sessions. He envisions a future for this type of professional exchange in North America: “I don’t see why not,” he simply states. What I noticed in my experience while working with Zaugg is that he understands what it is like to be a singer. Unfortunately, not every choir has a conductor that can sing or understands how to sing. I ask Zaugg’s thoughts on this matter: “I’ve listened to many choirs. There is good material in the choir but their conductor doesn’t know what to do with it. There are conductors who have enough experience who are able to put it in words what they want or in gestures. But I always pride myself that I can sing everything I request from the singers.” He not only challenges his singers but himself as a conductor and pedagogue. In beginning his work with the Montreal Choral Institute’s masterclass, he realized that “a lot of young conductors listen but they don’t hear… we are very often as conductors caught up in trying to teach music, intervals, dynamics, words, that once the performance comes around we haven’t had the time to look at the ensemble, dynamics, articulation…but at the same time, if we know what to listen for it is easier to implement.” Zaugg’s statement comprehensively describes the goal of his Podium 2012 workshop with voces boreales. In the session, he provided an aural toolkit for conductors to utilize while listening to chords. Additionally, there is a side of veiled magical whimsy beneath Zaugg's meticulous conductor exterior. When asked what he would sound like as a piece of music, Zaugg feels that Praulins’s oratorio “The Nightingale” would be most fitting: “I love fairytales… the imagination and the fantasy. So much is in that piece. The multitude of styles…sometimes there are broad and romantic lyrical sounds and then in the middle there is a mechanical bird with a technical aspect to it.” Witnessing firsthand his crisp gestural execution and full-bodied sound aesthetic, it is apparent that this piece represents him well. Too bad not many people have heard it before. Thankfully for Edmonton audiences, the Canadian premiere of “The Nightingale” will take place at Pro Coro Canada’s opening concert this season. I recommend that you come out and take a listen as Zaugg makes his official debut with Pro Coro. It is not everyday that there is a new choral voice in town.